Jeremy Corbyn, Bernie Sanders, Jill Stein: What Prospects for Real Change? In the wake of the June 7 primaries, it is quite apparent that Hillary Rodham Clinton, former First Lady, former New York Senator, and former Secretary of State has effectively clinched the Democratic Party’s nomination for President of the United States. Hillary Clinton is currently under a FBI criminal investigation over her use of a private email server to conduct government business. The first woman to run as a major party’s nominee for President of the US has also racked up $28 million dollars in Wall Street money over the current election cycle alone. According to data from the NGO watchdog Open Secrets, roughly 90% of Clinton’s top contributors over the course of her career since 1999 include banks like Goldman Sachs and Citigroup, corporations like Time Warner and Microsoft, and corporate law firms like DLA Piper and Skadden, Arps. Et al. What is more, Clinton’s record in government, includes her backing of the War in Iraq (2003), the coups in Honduras (2009) and Ukraine (2014), and the military assault on Libya (2011). Indeed it is hard to reconcile this background with commitments to Wall Street reform, yet her Democratic Party rival Bernie Sanders seems poised to be aligned with Republican and neocon Robert Kagan, in the desire to frustrate Donald Trump’s White House bid. What will become of the movement Bernie Sanders helped to inspire over the course of the last year? Can the movement Bernie Sanders helped catalyze surmount the systemic barriers put in place to protect elite corporate control of Washington? 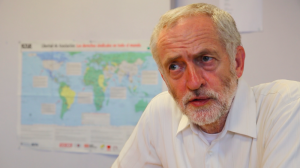 This week’s Global Research News Hour attempts to address these questions by first examining the rise of what appears to be a genuine voice for social democratic reform in the UK, in the person of Jeremy Corbyn. In September of 2015, Jeremy Corbyn, a long-time anti-war and labour activist, and self-described socialist, secured the leadership of Great Britain’s Labour Party running on promises to nationalize the railways, increase taxes on the wealthy, eliminate nuclear weapons, and make university free for all. Corbyn is, in some respects, Bernie Sanders’s counterpart in the UK. Melbourne-based Binoy Kampmark gives us an overview of Corbyn and his politics in the first half hour. 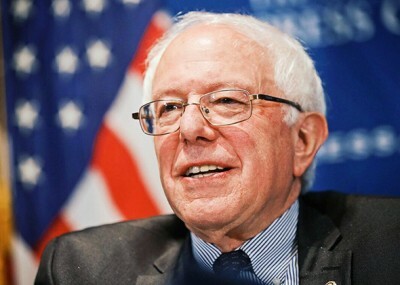 In the second half hour, we welcome Stephen Lendman back to the show to share his thoughts about the past week’s election campaign, his less than glowing assessment of Sanders, and how meaningful political change in the US will have to be achieved outside the formal political process. Binoy Kampmark was a Commonwealth Scholar at Selwyn College in Cambridge and is currently a Senior Scholar at RMIT University in Melbourne, Australia. Stephen Lendman is a prolific writer and host of the Progressive Radio News Hour on the Progressive Radio Network. He was editor and contributor to the recent book « Flashpoint in Ukraine: US Drive for Hegemony Risks WW III. » His blog site is sjlendman.blogspot.com. He is a frequent contributor to the Global Research site and is based in Chicago.